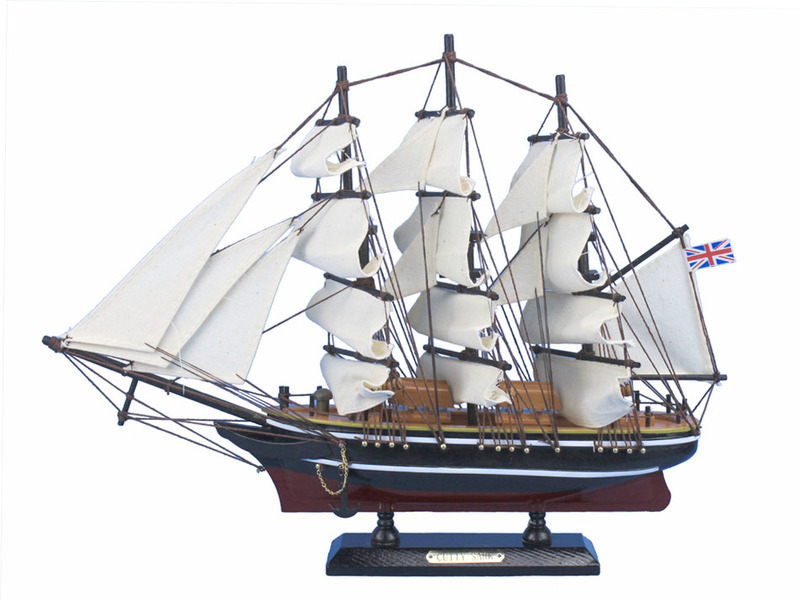 Recall the days of the clipper ships with these adorable tall ships models inspired by the famous tea clipper Cutty Sark. Resting easily upon and shelf or desk, this tall model ship will brighten the décor of any room with a touch of nautical history and the free spirit of the open sea. •She is the only surviving extreme clipper, and the only tea clipper still in existence. 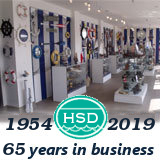 •Most of her hull fabric survives from her original construction and she is the best example of a merchant composite construction vessel. •She has captured the imagination of millions of people, 15 million of whom have come on board to learn the stories she has to tell. •She was preserved in Greenwich partly as a memorial to the men of the merchant navy, particularly those who lost their lives in the world wars. •She is one of the great sights of London. • She is the world’s sole surviving extreme clipper, a type of vessel that was the highest development of the fast commercial sailing ship, with the majority of her hull fabric surviving from her original construction. • She is internationally appreciated for her beauty and is one of the most famous ships in the world. •Her fine lines – a considerable part of her appeal – are defined by her frames which form part of the vessel’s composite construction; a construction technique of which she is the best surviving example and of which she is of exceptional quality. •She is a gateway to the World Heritage Site at Greenwich and is a key asset to both the World Heritage Site and the Borough of Greenwich. •As a tea clipper, she is tangible evidence of the importance of tea in 19th century trade and cultural life.